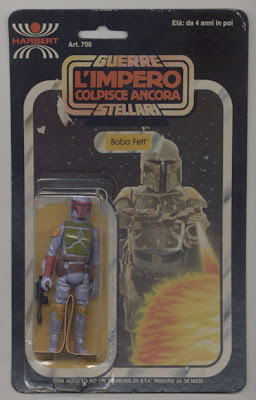 Only known example of a carded Italian Harbert Boba Fett. Figure was only available through a special mail in offer. 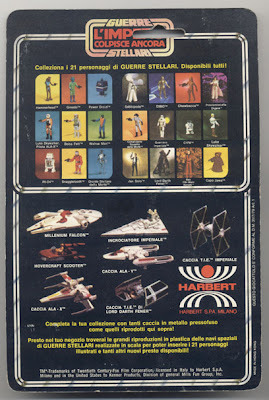 In order to get the Boba Fett you had to send four "Harbert" logos (figure cards or vehicles) to Harbert headquarter before September 30th, 1980. The figure was sent carded because it was planned to be released for sale in stores with the following wave of ESB figures. This seems to be the rarest production carded Star Wars figure ever.